Terrorism, Taliban, drones, attacks, floods. These are a few of the words frequently seen in news headlines about Pakistan these days. Two words you will rarely see are “climate” and “change.” While statistically significant correlations between climate change and single weather events, like the one that caused the recent flooding in Pakistan, are difficult to come by, it is worth pausing to consider the effects that projected climate shifts in the region, such as a more erratic monsoon season, might have on a state with such a volatile mix of security problems and natural disasters. Pakistan is 12th on the failed state index, is a hotbed of terrorist activity, possesses nuclear weapons, hosts an extensive black market in fissile materials, and has experienced two straight years of punishing floods – last year submerging more than a fifth of the country and leaving 21 million people homeless, and this year displacing thousands more. Adding climate change to this daunting list seems almost cruel. 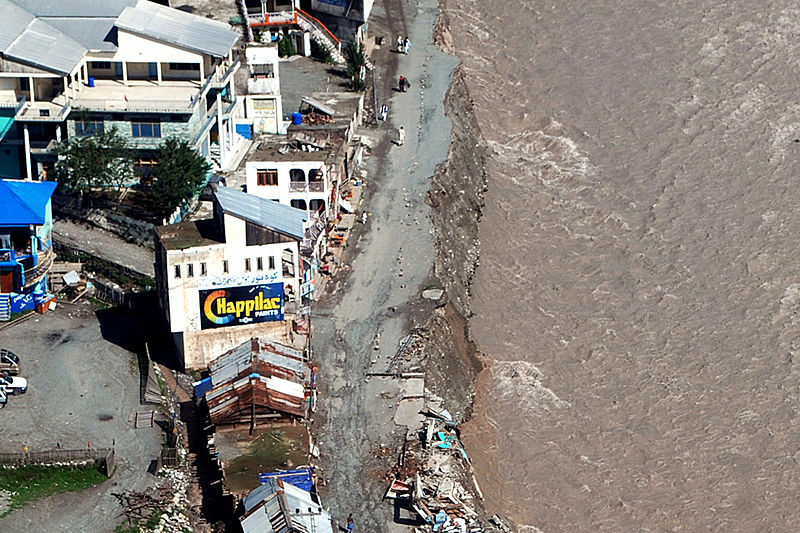 But while Pakistan’s and the international community’s immediate focus should be humanitarian relief for the country’s flood-affected public, adequate preparation for future disasters will require an acknowledgment of the potential impact of rapid changes in the climate. In short, let’s not purge climate change from the discourse simply because we do not have 100% certainty about its role in this instance. That’s an impossible standard, and ignoring the potential risks of climate change would be a disservice to the development of a more resilient Pakistan. By Francesco Femia & Caitlin Werrell in climate change, flood, humanitarian relief, monsoon, Pakistan, resiliency, terrorism on September 22, 2011 .